The Lohia Oma Star e-scooter will have a range of 60 kilometers. 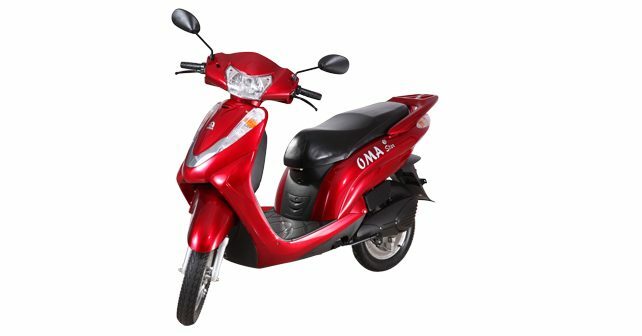 Lohia Auto has launched a new e-bike, christened the Oma Star, at a price tag of Rs 40,850 in Delhi. Since the e-scooter does not require registration or license to ride, this will be the final cost to the end consumer, says the company. Powering the Oma Star is a 20AH VRLA (valve-regulated Lead-Acid) type battery that will have a range of up to 60 kilometers on full charge, claims the maker. It takes about 6-8 hours to completely charge the battery. The e-scooter has a top speed of 25km/h. Among other features and equipment, it gets a digital speedometer, alloy wheels, a large storage compartment, high ground clearance, telescopic suspension, etc. Commenting on the occasion, Ayush Lohia, CEO, Lohia Auto Industries, said, “We understand the needs of our customers and believe in providing with smart mobility solutions. We believe ‘Omastar’ adds significant value in form and function to the electric bike segment and also address the environmental concerns of the automobile industry and the country”. Earlier this year at the 2016 Smart Cities Expo, Lohia Motors had also showcased a lithium-ion battery powered iteration of the Oma Star. The company will be bringing that version in the coming time, although it’s still working to price it feasibly. Lohia Auto has a manufacturing plant in Kashipur, Uttrakhand that has a capacity to produce 100,000 units a year. The company currently produces its range of two- & three-wheelers at the facility. Apart from the newly launched scooter, the company has also been producing e-rickshaws for a while now.